Editors note: All images are authors own. 1. Thou shalt not refuse a glass of pálinka. 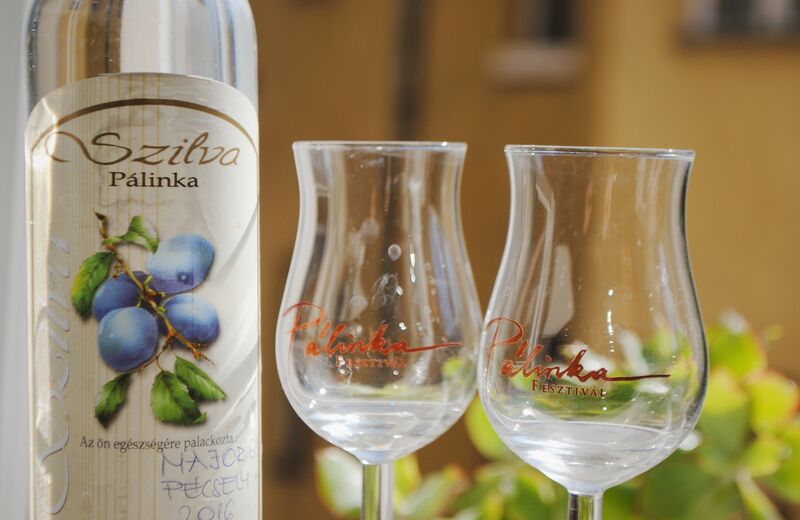 Pálinka is Hungary’s signature fruit brandy, traditionally enjoyed to consummate a meal and easily found at any liquor store, bar, or restaurant. But most likely your new Hungarian neighbor makes his own, and you can’t beat homemade pálinka. If offered, you should oblige. Yes, it may burn your throat, killing everything in its path, – which is why Hungarians swear by it to cure any ailment – but you don’t want to be rude, do you? 2. Thou shalt mind your greetings. The moment you set foot into your work space, your child’s school, your doctor’s office, or even the local coffee shop, you better say hello… to everyone. It’s a lovely cultural norm, where offering a greeting to friends and strangers alike, is observed as polite and essential. You don’t have to go around greeting everyone individually, of course; just one audible Sziasztok! will do. 3. Thou shalt know your sausages. With entire aisles devoted to sausage, you might find yourself overwhelmed by the numerous varieties of Hungarian kolbasz. You can find it fresh, dried, smoked, boiled, hot, mild, and/or riddled with spices. It’s made from beef, pork, turkey, and, on occasion, horse meat. The color varies as well, from bright red to a hearty purple, or even black. Each region proudly serves its own variety, and as you begin to explore, you too will start to recognize which ones appease your taste buds the most. 4. Thou shalt not turn on the lights. Why waste electricity when the sun provides plenty of natural light? Besides, overhead lights will surely give you headaches and other incurable diseases. This is extremely common, even in hospitals and schools. You will learn to appreciate it until you find yourself in eerie darkness while riding the underground portions of the suburban railway. 5. Thou shalt not stand on the left of the escalator. Budapest is the proud home to continental Europe’s first underground metro system, as well as some serious etiquette rules. Repeat after me: the right is for standing, the left for walking. And trust me, you do not want to be in the way of someone trying to pass, lest you get a traditional Hungarian stare-down. 6. Thou shalt remember Hungary’s true size. 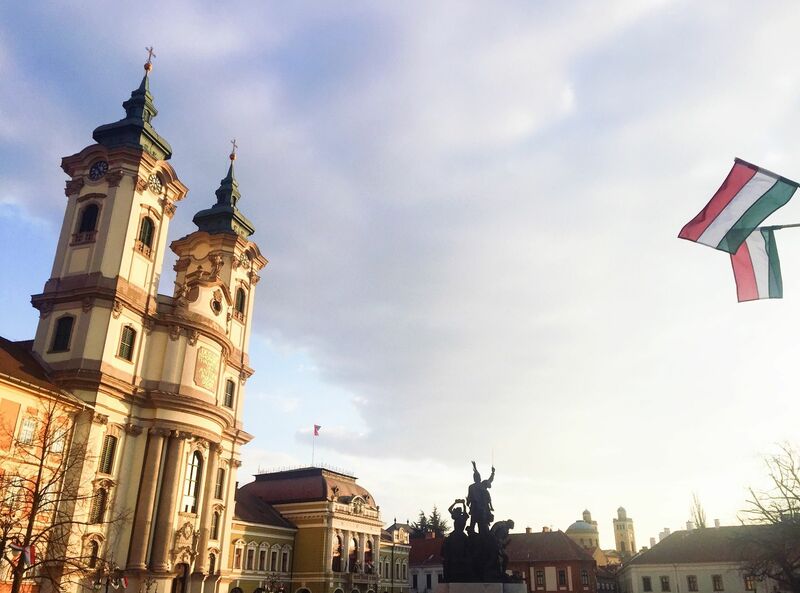 Oh, you’re traveling to Zagreb/Transylvania/Slovakia? The locals’ response: Do you know that used to be a part of Hungary??? Do your research and get familiar with the Treaty of Trianon, the WWI peace agreement that resulted in the distribution of two-thirds of Hungary’s land to its neighbors. This may have happened over 100 years ago, but it still feels fresh in a Hungarian’s impassioned heart. 7. Thou shalt not take too long packing your groceries. Delaying any line while you put your change away, pack your groceries, or fiddle with your bags will result in several eye rolls, stares, heavy sighs, and the tapping of fingers. Hungarians aren’t always subtle, especially when annoyed or inconvenienced. Thou shalt respect your elders. My favorite Hungary greeting is csókolom, which roughly translates to ‘I kiss your hand’. It’s a common greeting to give those from an older generation. It may seem old fashioned, but it’s really adorable when you see a little kid greet his grandma! Oh, and don’t forget to hold open doors and surrender your seat on the tram for anyone resembling your own granny or pappy. 8. Thou shalt not drink Czech lager. Traditional Hungarian meals are big and hearty, so you’ll need a light lager to help you wash it all down. But don’t be fooled: if you see both a Hungarian and Czech lager on the menu, it’s a trap. Order the latter and you may receive a passionate speech from your server. 9. Thou shalt always egészségedre. Egészségedre translates to ‘to your health’, and it’s the Hungarian way of saying ‘cheers’. Don’t be rude and dive into your glass of Hungarian Törley before wishing your drinking buddies a healthy future. 10. Thou shalt not wear sandals outside the months of July and August. Even if the mercury hits an all-time high in May, you will be severely judged if you expose your ankles and toes. It’s not that it’s scandalous, it’s that you will surely catch a cold! But don’t worry, your Hungarian friend will lend you the spare pair of socks she keeps in her bag. 11. Thou shalt holiday on Lake Balaton. 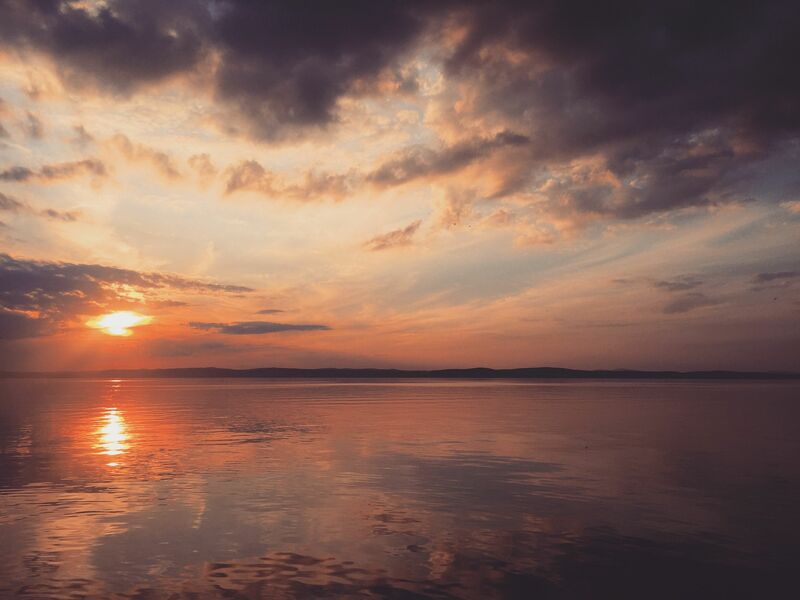 Lake Balaton is Central Europe’s largest fresh water lake, a long and narrow 50 miles in length, and the pride of Hungary. Everyone makes their way to its beaches at some point during the summer months. With almost 200km of shoreline, you can always find the perfect spot to swim, sail, sunbathe, party, or just relax. It’s worth the trek, as the lake is a transfixing emerald color and the home to many killer sunsets.